We’ve already been spoiled here in Bedfordshire this April, with bright blue skies and highs of 21C last weekend. And although the tulips and daffodils seemed to be positively basking in the summery haze, this week’s chilly breezes are serving as a stark reminder not to get too ahead of ourselves. It’s still spring; cardigans and tights are still very much required, and with Easter only a few days away, we have the perfect weather for a celebratory warming roast. Where lamb is the traditional centrepiece in British Easter feasts, my vegan take on an Easter main dish is a hearty squash and lentil pie. I hadn’t tried making this particular pie before, but for my roast I wanted a subtle nod to middle eastern cuisine in honour of the origins of the Easter story (recipe below). Accompanied with the usual roast potatoes, parsnips and veggies, it turned out to be a mini shortcrust-encased triumph. Thanks to Debenhams and their Home collection, for this Easter roast dinner I had a few new kitchen utensils to play with, including a 20 cm copper base saucepan; something I’ve always coveted due to excellent heat conductivity of the copper. (The saucepan’s handy in-built strainer is also a winner, as now I’m officially a busy mum anything that makes life that little bit easier is so, so welcome). You can also check out the multi-use black Joseph Joseph Cut&Carve chopping board here. 1. Sift flour into a bowl, add the salt and rub together the flour and fat to make a breadcrumb consistency. 2. Add a little water at a time (around 1tsp per ounce of flour) gradually to the mixture, making sure the dough does not become too wet. Keep combining the water and fat/flour mix until the breadcrumbs begin to stick together and hold. 3. Knead in the bowl until the dough is smooth and doesn’t crack. 4. Dust a rolling pin with flour and roll out the pastry. If needed, roll flat onto cling film and refrigerate. 2. 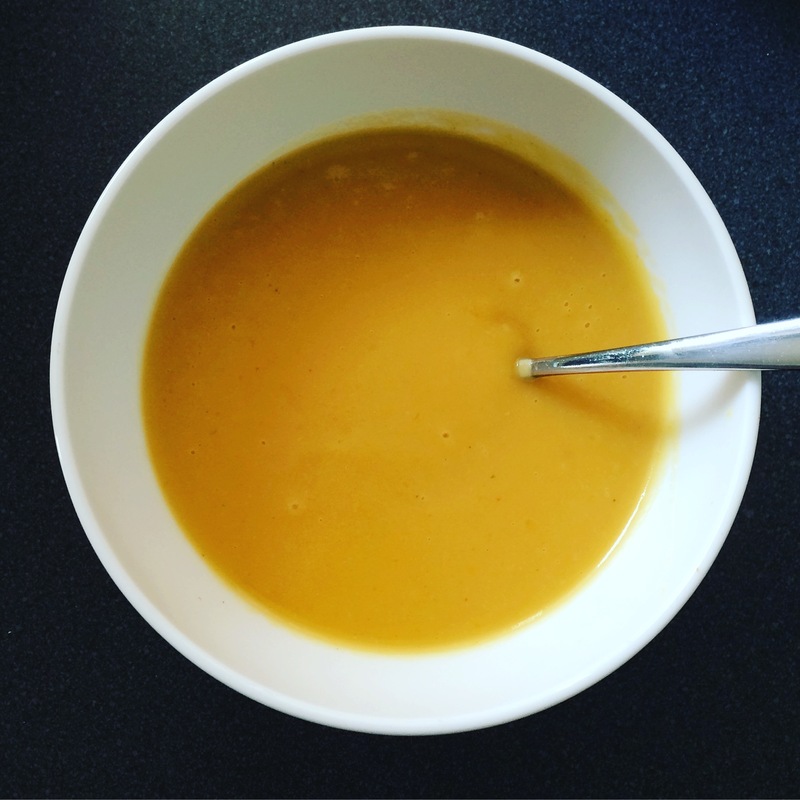 Boil butternut squash and sweet potatoes in salted water or with veg stock. Meanwhile, dice onions and finely chop garlic. 3. Once the squash and sweet potato has boiled, set aside until the onions and garlic have softened, then combine boiled veg. Add enough water with veg stock powder to keep the ingredients from burning. 4. Drain the tin of green lentils and add to the mixture, as well as a liberal helping of sage and mixed herbs. Then add the dijon mustard, tomato puree and a fresh rosemary sprig (to be removed before decanting into a dish). 5. Simmer gently for 10-15 minutes and stir occasionally; the mixture should become thicker. Drain off any liquid if necessary and add tomato puree to help thicken if required. 6. Remove pastry from fridge and roll out. Take a shallow casserole dish or pie dish and pour in pie filling ingredients. Lay pastry over the top, trim the edges and crimp. Prick the pastry in a couple of places, and wash with soya milk or almond milk. 7. Cook in oven for 30-40 mins until pastry goldens. So there it is – something a little bit different to enjoy this Easter weekend. We’ve got plenty of portions of pie to enjoy, so they’ll be going in the freezer ready for another round of roast potatoes and parsnips, and some tasty homegrown veg!